Barb Billotto, 66, Eureka, SD, died Friday, July 27, 2018 at the Eureka Community Hospital. Mass of Christian Burial will be 10:00 AM, Wednesday, August 1, 2018 at St. Joseph Catholic Church, Eureka, with Father Thomas Clement, Celebrant. Organist will be Paul Kolar and vocal selections will be “Amazing Grace”, “On Eagle’s Wings”, “How Great Thou Art”, “Song of Farewell”, and “Soon and Very Soon”. Mass Server will be Ben Batie, Eucharistic Minister and usher will be George Hulscher and lector will be Joyce Schwingler. Offertory gift bearers will be Barb’s grandchildren—Anthony, Rebecca, Ella, Angelo and John. Wake services will be at the Church 7:00 PM Tuesday with visitation beginning 5:30 PM. Barbara Ann Hansen, daughter of Ella (Lisauer) and Henry Hansen, was born November 4, 1951 at Camden, NJ. She was brought up in Cherry Hill, NJ and attended Cherry Hill West High School, Class of 1970. Following her graduation, she was employed at Strawbridge & Clothier Department Store in Cherry Hill. Barb married Bob Billotto at Cherry Hill on December 26, 1971. They first lived in Dayton, Ohio where Bob was a student at the University of Dayton. Upon his graduation in May 1974, they returned to New Jersey. They settled in Delran where Barb worked in the secretarial field. In 1978, Bob tried his hand in the educational field which prompted a move to Henry, SD. While the Billotto’s lived in Henry and Waverly, SD, Barb was employed at the Humane Society in Watertown, SD. In 1983, they relocated to Canova, SD and the next year settled in Bridgewater, SD. In the summer of 1987 they moved to Eureka which proved to be Barb’s final move. Barb loved animals and as a teen exhibited skill in grooming the family’s pet poodle. She went on to fine tune that skill at a class held in Denver, Co. and opened Barb’s Pet Grooming Shop in Eureka. Barb was an avid booster of Eureka and when Wolff Oil Co. was set to close in 2007, she and Bob decided to purchase the business. The business was renamed Dakota Country Store and Barb operated it for the rest of her life. Similarly, after the flower shop burned to the ground, Barb didn’t want Eureka to be without that service so the Dakota Country Store also supplied plants and flowers to the community. Barb served on the Eureka City Council for eight years and was president of the Eureka Chamber of Commerce for many years. 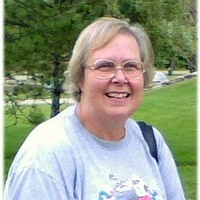 She was also a member of St. Joseph Catholic Church and the Eureka Lions Club. She was a terrific sports fan having kept book for the Eureka/Bowdle basketball teams for many years and was always pulling for the Minnesota Twins and Philadelphia Eagles through thick and thin. Barb is survived by Bob, her husband of 46 years; her children—Stacy (Michael) Mitchell of Rose Hill, Kansas and Michael Billotto of Burleson, TX; one sister, Inga Cooper, of Medford, NJ; and five grandchildren. She was preceded in death by her father in May 1974 and her mother in November 2001. Casketbearers will be her son, Michael, her son-in-law, Michael, Nick Weismantel of Eureka, Bo Beck of Aberdeen, SD, Kerwin Hoellein of Mansfield, SD and Michael Ruth of Huron, SD. Services are in care of Lien-Straub Funeral Chapel, Eureka. Visitation begins at 5:30 PM.